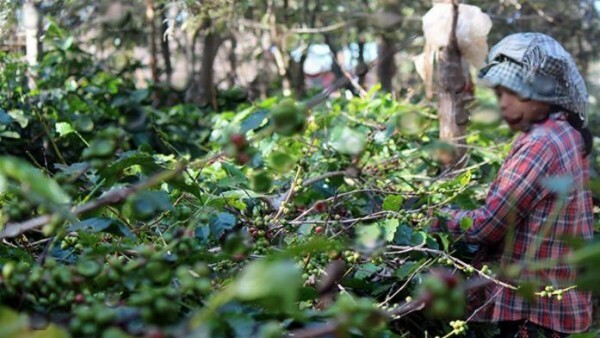 “According to the Coffee Board, about 1,000 hectares of coffee garden area have been flattened due to the landslides triggered by the heavy rains. Every big tree in (shed-grown) plantations that has fallen has damaged at least 10-20 coffee trees,” Rajah said. Rajah said there were fears that some of the coffee trees that survived the floods might “die slowly” due to the root-rotting as they were submerged for a long time. “Coffee plantations in Kodagu, Hassan and Chikmagalur have been badly damaged. The Coffee Board is assessing the magnitude of the damage. But the tentative figures show the losses are around Rs 700 crore,” Deshpande said. Karnataka accounts for 70-80 per cent of the country’s total coffee production while Kerala produces over 10 per cent and Tamil Nadu about 5 per cent. Andhra Pradesh, Odisha and the northeastern region, which come under the non-traditional coffee producing areas, account for the rest. B.M. Raju, who grows coffee beans on 60-acres of land in Karnataka’s Kodagu, said the damage in his district ranged from 20 to 80 per cent and farmers would have no option but to reinvest heavily to rejuvenate their gardens. “The input cost is already high. Labour cost has increased in last few years. But after these floods, coffee cultivators are totally broken. We will have to raise a huge sum for replantation,” said Raju, who is a member of the Coffee Board. Rajah said farmers had the “financial inability” to raise funds as they were already in distress. But K. Basavaraj, who heads the Coffee Board’s Quality Division, maintained that the quality would not be affected as the fruit development would happen after the rains. “There would not be any impact on the bean quality in general. We have 3-4 months for recovery of plants and development of beans. Quality could be slightly below the normal in certain pockets where serious damage has been reported,” Basavaraj said.